A Swedish term, smultronstället, describes a special place. 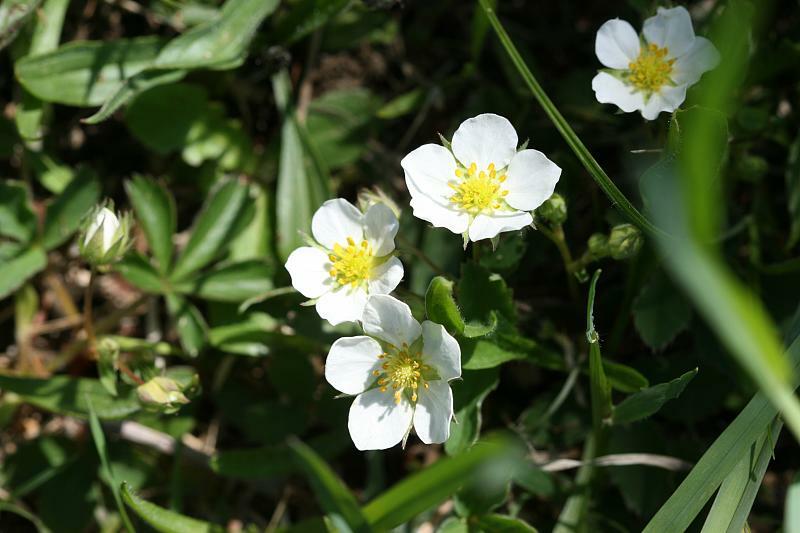 It means “the place of the wild strawberries” with an image drawn from the particular pleasure that can come from spotting the flowers – a sign of Spring – and then tasting a sweet delight. It refers to a place that can bring a certain mood, that you discovered and now feel is your own. Mike Comins, in A Wild Faith, describes the impact of these places – how, by observing the local creatures and plants, and by returning in different seasons and in different weather and times of day, we can come in time to know one place well, and with this get a richer sense of wider nature; and how, in gazing at the surroundings or listening with no thoughts, a sense of calm, like meditation, may come in. He suggests spending enough time in the spot, with minimal activity, to notice small details. And, while he recognizes that guests may be welcome at times, he sees visits as mainly a private affair. It may be a place you stop by regularly, as part of daily routines. Or it can be a spot you have to journey to seek out. It can include spots in parks or gardens, or favorite places in meadows or woods or by the shore. And, as Chet Raymo described in The Path, it can include the walk that is taken to arrive at a place. An indoor version can be a room or a dedicated space in a home – set apart for meditation, yoga, music, reading, or some other activity. Crossing the threshold may give the feeling of entering a sanctuary, separate from spaces used for daily activities.